Now. Schroedinger's Cat is all a part of the Quantum Physics thing, and let's just remind ourselves right up front that 1) Quantum Physics is the Best Science Ever (BSE) which is 2) never wrong and it's always right and had 3) more evidence in support of it than Any Other Science Ever (AOSE) but is 4) entirely weird and 5) nobody understands it and 6) everybody wishes it would just go away but 7) it explains perfectly how matter and energy work because it is 8) the BSE. So let's just say right up front that 9) we have a way to maybe fix all of that. 10) Watch this. And 11) you're not going to understand this because 12) #5 up there in the first paragraph. Nobody understands it. So don't feel bad or dumb or ignorant or stupid. Because I don't understand it either, and here I am, writing about it. You'll notice that there's a piece of wood with two slits. 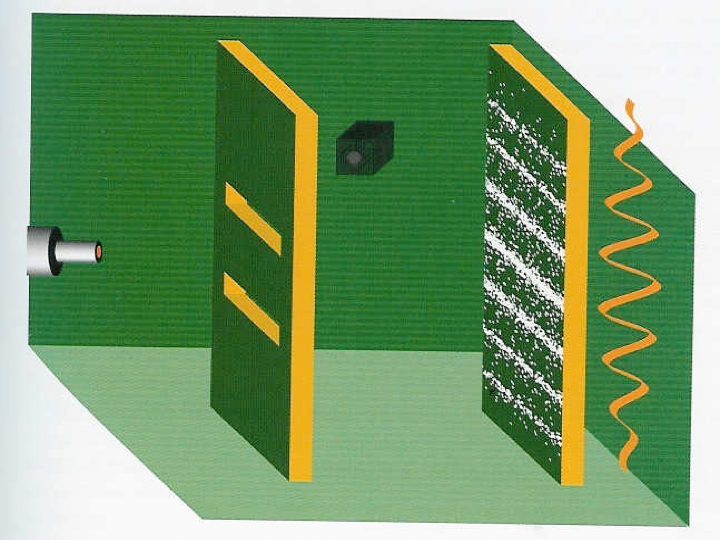 That's why we call this the Double Slit Experiment. And there's a flashlight (actually a laser) and another piece of wood. That's because light travels in a wave, and when you shine it through two slits, the wave breaks into two waves and they interfere with each other. So that's called an Interference Pattern. It's not a big deal. That is, some photons go through the top slit and some go through the bottom slit. Just like you'd expect. Which is an interference pattern. That can't happen. The photons are going through one at a time. There's nothing to interfere with. Here's where the weirdness starts. The photons go through both slits at the same time. That means that each photon is in two places at once. And then each photon ... interferes with itself. I told you it was weird. You should have listened. I'm going to say that again really loudly so that you don't miss it. THEY'RE IN TWO PLACES - TWO!!! - AT THE SAME TIME! So now we change the experiment by putting a photon detector into the experiment. It ... detects photons. Duh. See the little black box? Photon detector. It's turned off now. Because when you turn the photon detector on, the photons start doing what we thought they should have done in the first place. That is, going through either the top or the bottom slit. Not both at the same time. So what's going on? Weirdness. The photons seem somehow to ... know ... that you're looking at them. And they change what they do. THE PHOTONS KNOW THAT YOU'RE LOOKING AT THEM! Wait, though. That's so weird. Except that ... what's going on here is ... an Interaction. Between you and the photons. Because "looking" is an interaction. And the whole universe may be made of just that. Interactions. So now it all makes sense. OK, not really. But only because we don't know how to think like that yet. We aim our photon detector towards the middle, between the two pieces of wood. 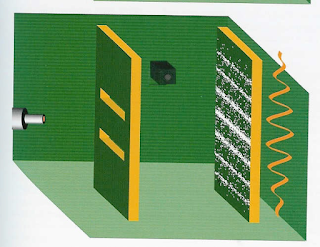 Because then the photons will have already gone through both slits at the same time, and we'll figure out what it is that they are really doing. And then we turn it on. And the photons stop going through both slits at the same time again and start doing what they are supposed to do in a non-weirdness universe. ..go backwards in time and change what they did. So that you can't catch them going through both slits at the same time. Backwards in time. You read it right. That's what they do. Photons, and all little particles, can go backwards in time. You can't, even though you are made of little particles that can. THEY GO BACKWARDS IN TIME AND CHANGE WHAT THEY DID! And they do this because you have Interacted with them. By looking at them, or measuring them in some way. Your Interaction with photons, or any quantum (little tiny) particle, can cause the future to change the present, or the present to change the past, or the future to change the past. You can't tell it how to do that. It just ... does it. Because of the Interaction. Or some random vibration somewhere in the world. Whatever. It's still an interaction. Still to come, you, interacting with Schroedinger's Cat backwards in time. We've talked about There. Let's talk about Where. And maybe, When. Every now and then, someone will ask, so, where did Big Bang happen?, for example. Where's the center of the universe? Where's the starting point? Back before Copernicus and Galileo and Bruno came along, we thought we had the answer. The earth is the center of the universe. The Church had it all figured out. It was logical, the Church said. God loves us. He put us on the earth. He must love the earth. We are the relational center of the universe, created by God to be in relationship with him. So the earth must be the physical center of the universe. 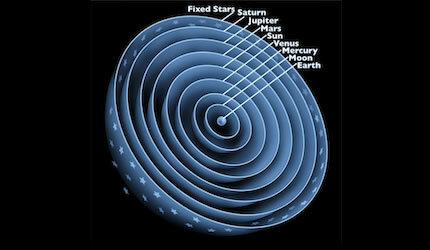 God rotates around us, so the universe must rotate around the earth. Well. First, that's neither logical nor necessary. 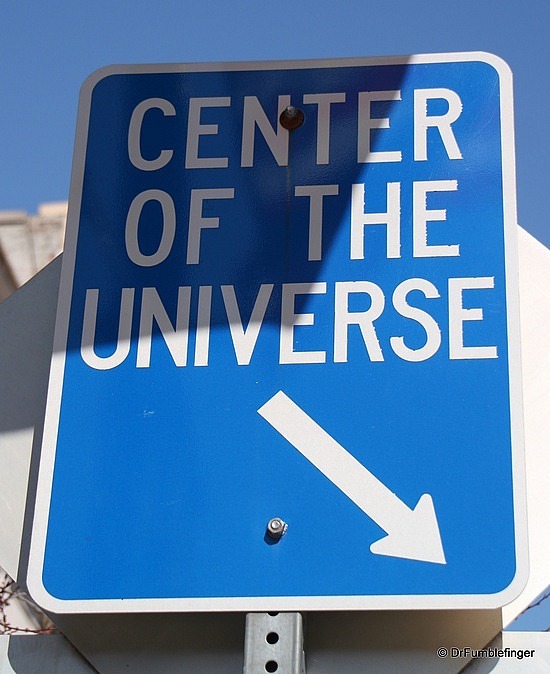 Whether or not you accept the premise that God loves us (and you may not), it does not begin to follow that the earth is the center of the universe. You love your loved ones (duh), but that does not make them the center of anything except perhaps as a constant drain on your finances. So, at some cost and courage, Copernicus and Galileo and Bruno fixed all of that, and eventually, everyone got comfortable with the idea that the earth was not the center of the universe, even religious people. Nobody's theology in any of the world's major faiths includes Geocentrism as a plank in the platform. people can get past science and accept what seem to be challenges to the faith without losing that faith. So then we got the Copernican Principle, which says that not only is the earth not the center of the universe, but the earth isn't special, humans aren't special, the universe itself isn't special, nothing at all anywhere is special. Everything is very very ordinary. As it turns out, the Copernican Principle made the same mistake with science that Geocentrism did with religion. That is, it takes one truth (the earth is not the center of the universe) and then jumps off in an entirely illogical and unconnected direction to say that the earth therefore is not special. 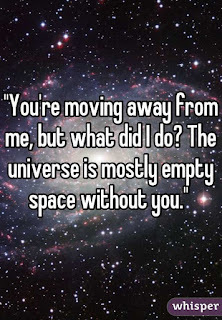 That is, just because your loved ones are not the center of the universe doesn't make them unspecial. So what the Church said was, humans are special, humans live on the earth, so the earth is the center of the universe. 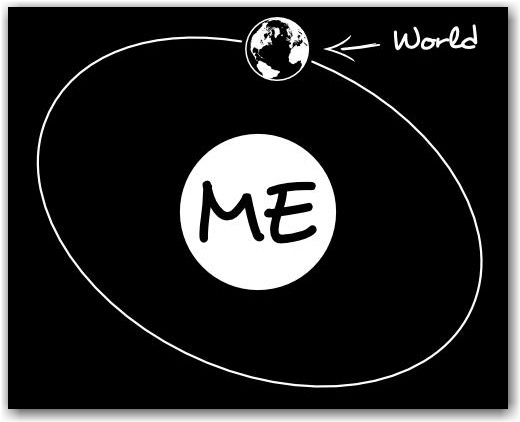 Here's what science said: the earth is not the center of the universe, so humans aren't special. What's bad theology going one direction is bad logic going the other direction. 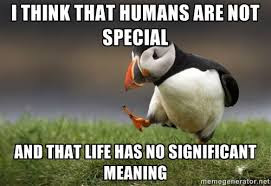 Whether or not humans are special has absolutely positively without a doubt 100% maybe even 1000% (yeah, that's stupid) nothing to do with whether or not the earth is or is not the center of anything. Everybody (outside of religion) believed that since earth isn't the center, then humans aren't special, though, and still pretty much believes it. Most scientists and atheists believe that humans aren't special. Neither are the earth, the solar system, the Milky Way, any of the other galaxies, or even the universe itself. Everything is just a big accident produced by the laws of nature, and they don't give a rat's patootie about you or the universe. Birdbrains. All in a flutter. See where bad logic gets you? All in a flutter. But then Big Bang came along and changed the whole game anyway. Because there was a starting point, it looks like the earth is very special after all. A new tally proposes that roughly 700 quintillion terrestrial exoplanets are likely to exist across the observable universe—most vastly different from Earth. Here's a short bit from the article: "...Max Tegmark from the Massachusetts Institute of Technology ... thinks Earth is a colossal violation of the Copernican principle..."
For us, it's a fine-tuning thing. As we mentioned once or twice. And, as it happens, the earth is the center of the universe. Well, the center of its own universe. expanding away from one point, a starting point?" comes from not really understanding Big Bang. Big Bang was not just the starting point of everything in the universe - planets, stars, galaxies, all of that. It was the starting point of space and time. Which means that it was the starting point of all the points in the universe. Which means that all of the points in the universe were once all at the same place. They were all the same point. Which means that every point in the universe is the point that the universe is expanding away from. Every point is the starting point. Every point is the center of the universe. Actually, the center of its own view of the universe, the parts that are visible from each point, which are different from each point. So the earth is the center of its own universe. So are you, of course. So is your elbow. And the tip of your nose. And all of your loved ones. Duh. So the first answer to the question Where? is that all of the Wheres are the center of the universe. It's a Big Bang, relativity thing. Unlike the picture below, everybody is in fact the center of the universe. All of our universes overlap quite a bit, of course. Now, there's the Quantum Wheres, too. As in, for photons or anything traveling at the SOL, everything is just like it was back at the Beginning, at the Singularity, when all of the points where all at the same place. One point. All of the points in the universe for a photon right now! are at the same point. And all of the Time in the universe happens at the same Time. Everything happens at once. If you happen to be traveling at the SOL. 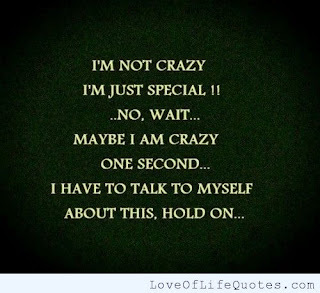 So right now! is always right now! Photons are never late for anything, and they never go to the wrong place. Male photons never have to ask for directions, and female photons can take as long as they want to get dressed. If that sounds sexist to you, then just switch them around. Still works. So all the Wheres and all the Whens are just one Where and One When. Which sounds like Dr. Seuss on steroids. And even if you're not traveling at the SOL, if you are a quantum particle, you can occupy multiple Wheres and multiple Whens. 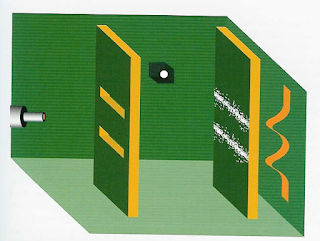 Particles can be and are in many places at the same time, and sometimes they can even be in many times at the same, uh, at the same, uh, well, OK, it's not at the same time. They can be in many times at the same place. But they can also be in many times in many places, and many places at the same time. And there's even a Where and a When for you yourself. Well, actually, that's not true. You don't get your own personal Where or When. Simple question, just for starters. Where are you? Like, right now? Answer - your Where is relative to all the Wheres that the universe has to offer. Any answer you give is in relation to somewhere else. And as we all know by now, "relation" is code for "interaction". So you only have a location as you interact with it. In your room. Your car. Your office. The bathtub. A ski lift. North America. Earth. The Solar System. The Milky Way. Um, Mars. Or Nevada. It's hard to tell. And all of those Wheres are moving. So you are moving, too. 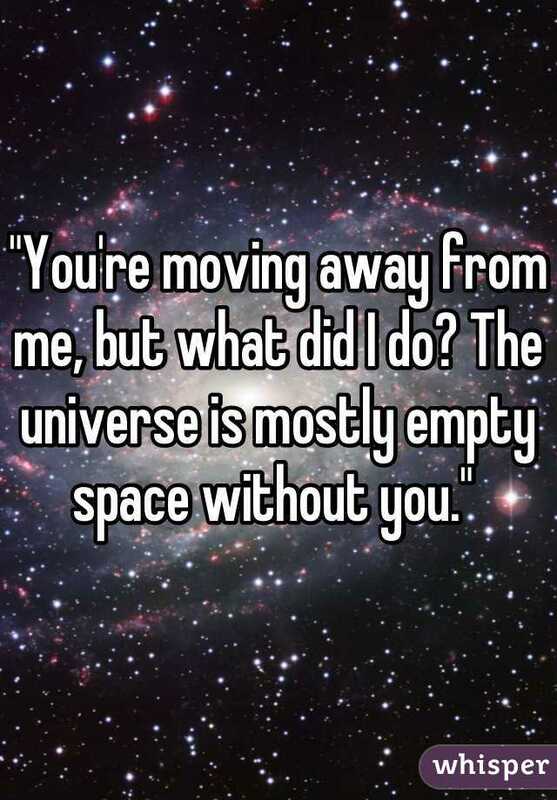 Your Where used to be ... There ... but now it's ... Here. And Here is always moving, changing, interacting with lots of other Heres and Theres. Consider. Let's say you are in empty space in a spacesuit, just hanging out. There's nothing around you. No planets, stars, galaxies. Nothing but blackness. And you. If there's nothing else in space (Space-Time, to be more specific), then you have no location. Now. Here comes some other guy in a spacesuit. Zip! Off he goes. Or she. You both are only moving relative to each other. If there's nobody there, then nobody's moving. No body. No motion. Not only do you not have a location, you only have motion relative to other things. Even motion and location are results of interactions. And since you can't tell how fast you are moving, or that you are moving at all, and since Space and Time change with speed, but only relative to the places you left behind, then they can't change. Whatever that means. Bottom line at the end of the day in the final analysis when all is said and done, Where and When only exist because of interactions between things made of matter, with mass, and of course, photons. You look at them. In a quantum sort of way. Summing up. You can ignore the rest of the quote. We should probably sum things up a bit, since I don't even remember where we were and I'm not really sure where we are, and I've been writing this thing for months. We started off with, There's Nothing There, because there's nothing there. That is, in the universe. space. But it's a nice thought. There's a lot of stuff that looks like something - you know, galaxies, stars, planets, used-to-be-planets, might-be-planets, Black Holes that aren't quite Black Holes yet, moons, asteroids, comets, meteors, meteorites (which sounds very much like little meteors to me), plus all the stuff on earth like, well, you and me - but as it turns out, all the stuff is made of matter, and matter is made of things that - aren't really there. That's because matter is made of energy, which is waves, and sometimes matter acts like matter, and sometimes it acts like waves. And it does this depending upon how we choose to look at it. And the little matter bits could be here, or they could be anywhere. And even if the little matter bits were here, there's a lot more of nothing than there is of them. It says sugar cube. It's really an M&M. In Europe, a Smarty. In Asia, a grain of rice the size of an M&M. Or a Smarty. 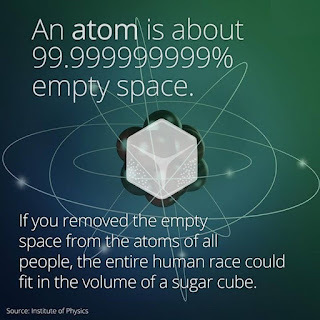 Like, there's a million billion times more emptiness in every atom than there is little matter bits. And you are made of atoms. Which means that there's a million billion times more nothing than there is something in you. 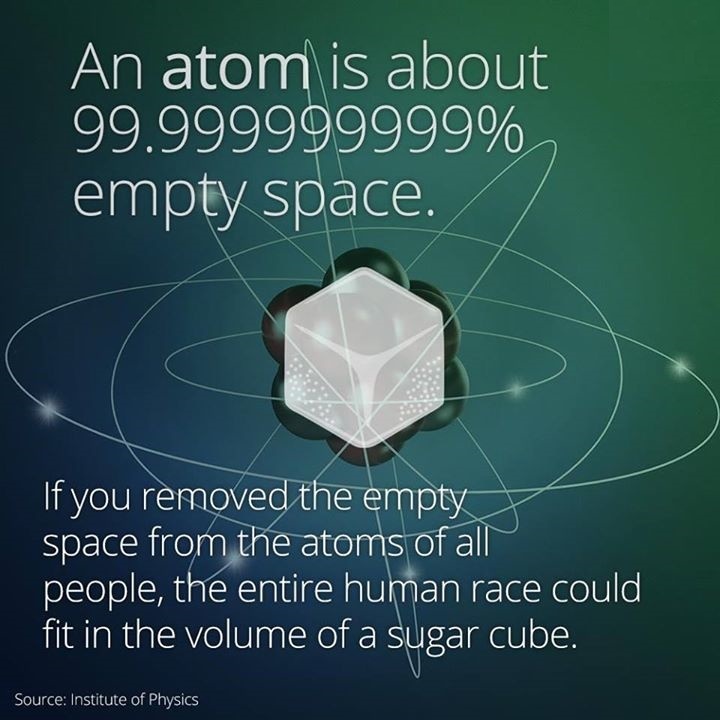 So that means that if we squeeze out all of the nothing from every atom from every human being on the planet, and put them all in the same place, then every human fits into an M&M. All 7+ billion of us. Into an M&M. With room left over. In fact, 7.3 billion of us fit into two-thirds of an M&M. That means that you could fit another 3 billion or so people into the M&M. And 99% of THAT is virtual particles that are only there very very briefly. And the 1% of the M&M that is actually made of little matter bits - is made of things that aren't really there. Yeah. This doesn't help much, either. And what, you are saying out loud, the heck are "interactions"? Well. Interactions are what forces and particles do together when they do what they do together. I'm thinking that didn't help much. Not a good look when they're looking for a head. OK. So, say you throw a baseball. For those of you who live in countries without baseball, pick the ball of your own culturally appropriate choosing. Cricket -. Foot -. Basket -. 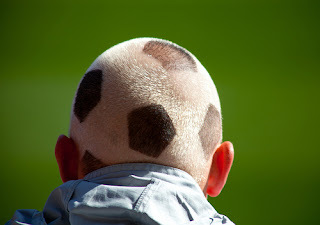 Human head -. Which is what we used to throw around when we didn't have round bouncy objects made for games, so in our infinite creativity, we'd whack off the heads of random passersby and use those. You need to thank God that we discovered baseballs and footballs and all that. Bad enough to be the geeky little kid who always got chosen last. Much worse to be the one kid left over when someone yells, hey, we don't have a head to play with! Somebody get me a head! Anyway. You throw a ball. At the simplest level, there are two things that need to interact in order for you to throw a ball. Thing 1 - you. Thing 2 - a ball. Without both you and the ball, the ball doesn't get thrown. We need some other things too, of course. Gravity. Which means, a planet. 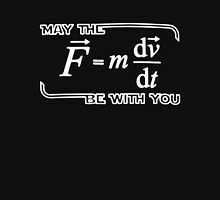 Various laws of physics - momentum, acceleration, deceleration, force, mass, velocity, all kinds of things. A serious interaction. But, you know. Just Do It. So the whole throwing-of-the-ball-or-head thing works because of interactions between you, the ball, the planet, air, wind, altitude, mass, all kinds of things. Plus, your own desire to throw the ball, your knowledge of how to throw the ball, and your body's instinct or training on how to throw the ball. 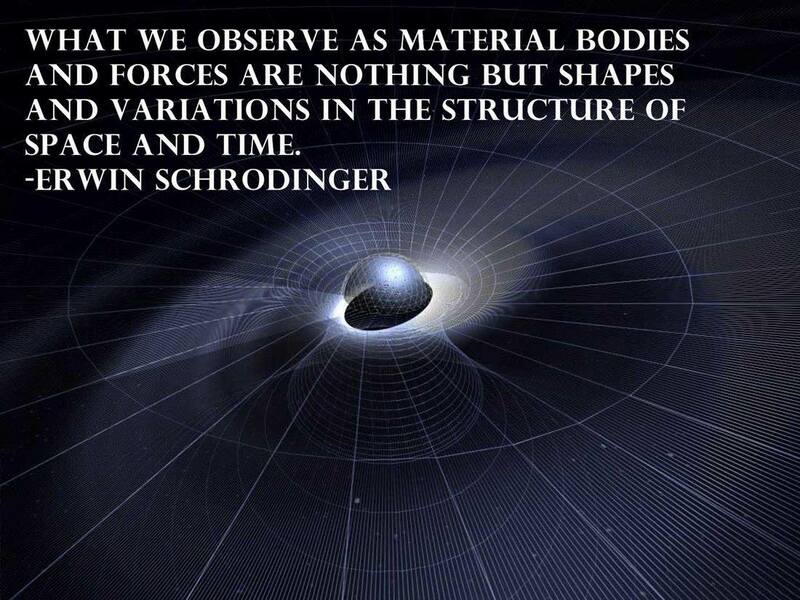 And your body and the ball being made of particles and forces that interact. Particles = quarks, gluons and electrons. Forces = strong force and electromagnetic force. Everything interacting with everything else. That's how the universe works. Except for this one, new thing. It turns everything around upside down and backwards. 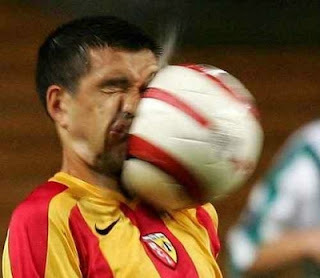 It's not you and the ball that define the interaction. It's the interaction that gives you and the ball reality. You and the ball aren't really there in the way that you think you are. You and the ball seem to be there. I mean, really seem like it. Except for atoms, which don't exist either. So close. and the quarks become protons and neutrons, which interact with gluons again to become atomic nuclei, and then the nucleus and the electrons interact via the Electromagnetic Force to become atoms and all of that empty space, and voila! Because if it isn't, then you aren't, either. So, where are you then, anyway? OK, not Fritz. Some Swiss guy on an alpenhorn. There was this guy named Fritz. Fritz Zwicky. He was Swiss. My sources tell me that he was ... irritating. Obnoxious. Unpopular. Curmudgeonly. That's the word Wikipedia uses. Actually, he was lucky. If he'd lived in an English-language based country, he'd have been called Icky Zwicky. Or worse. That would have made anybody irritating. Actually again, he lived a long time at CalTech in Pasadena, CA, where the natives speak English after a fashion, so "Icky Zwicky" might have been spray-painted on his locker, maybe. Not really. That's at Cern. This is ... not at Cern. 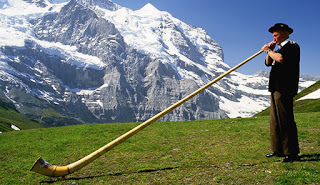 I lived in Switzerland. Three times. When people ask me sometimes how come I lived in Switzerland three times, I say that it's because God loves me more than he loves them. Cuz Switzerland is very cool. Alps. Cheese. Chocolate. Wine. Skiing. Biking. Hiking. Not a big hiker, but if I were, I'd hike there. Plus, you know. CERN. Particle physics. The Higgs. 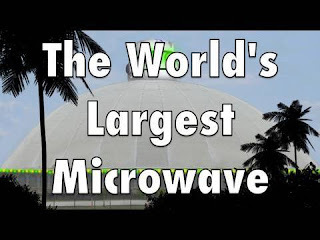 The World's Largest Microwave Oven. Anyway. I digress. Fritz. You could rhyme something with that, too, that we won't do because "crapload" is kind of our swearing limit. Fritz. Way back in the '30s, right after the General Theory kicked in, Fritz was looking at galaxies (which we didn't even really know for sure existed until like 1927 or -8 or -9), and, being a smart guy, noticed that they were spinning too fast to be able to hold themselves together. You know how if you get on a merry-go-round (do we still call them that? ), or a thing that you go around and around on so that you can get merry, but you up your chuck instead? Or you fall off, if you're not holding on? Or both? Well. Galaxies are spinning so fast (not that you can tell by just looking) that they would throw all of their stars out into space, and they wouldn't technically be galaxies anymore, since, um, you gotta have stars to be a galaxy. So he (Fritz) wondered, what was holding the galaxies all together? Well, the answer is, gravity. Gravity is what holds galaxies together. That is, all of the gravity in all of the stars in each galaxy is added up and holds the galaxy together. The stars make a gravitational well, and the galaxy sits in the middle of the well. Actual scientists experimenting with spinning galaxies. Um. OK. Actual idiots with a motor cycle. But he (Fritz) noticed that there weren't enough stars in ANY galaxy to do that. At least, the ones that he could see. So there wasn't enough gravity in ANY galaxy if you just counted up all the stars. And what makes gravity, you ask? Stars. That is, matter. Stuff made of matter. So we needed more matter in every galaxy. EVERY galaxy. How much? you might ask. About 5-6 times more matter than is actually there. 5-6 times more stars than are actually there. That would be like, in our solar system, we'd need 5 or 6 more suns, plus maybe instead of 8 planets, 40 or 48 more planets. Now, if you'll go out and look around, you'll notice that we have one sun, tops. And rumor has it that we only have 8 planets. Sorry, Pluto. Maybe 9 if the mystery planet turns out to be a planet. Apparently the universe has all the idiots it needs. So there is a crapload of matter missing in the universe. We could have known this in 1933 when Fritz discovered it, but he was kind of irritating. So we didn't pay attention. And then, in 1975, a much nicer scientist person named Vera Rubin discovered it all over again. She was just as smart, but not such a pain. Not a pain at all, in fact. She should win a prize. Not for being not a pain, but for discovering all over again that a crapload of matter was missing from the universe. Darth Matter. Not Dark Matter. Get it? Get it? We decided to call it "Dark Matter". Since it's missing, we have no idea what it is, don't know what it's made of, and can't quite figure out how SO MUCH MATTER is out there that we CAN'T FIND. We're not upset. 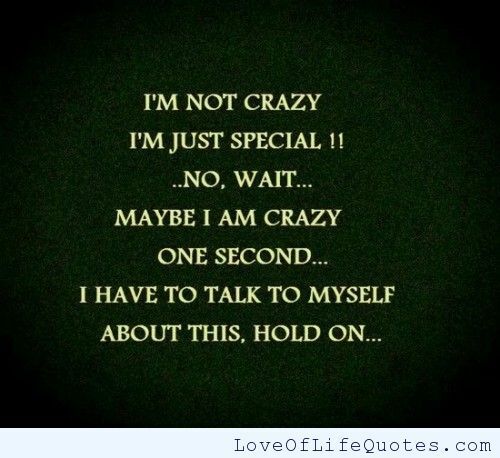 OK, maybe a little. Worse yet, it turns out that we really really need Dark Matter in order for the universe to work. Because without Dark Matter, there would be no galaxies, and without galaxies, there would be only isolated stars, and for various reasons, no planets and no life. Anywhere. No Dark Matter = no galaxies = no life = no you, no me, no us. No Dark Energy = no universe = no life = no you, no me, no us. So, you might ask. How much Dark Energy and Dark Matter do we need? In order for everything to, you know, be here? Here's what we can see. Matter, which makes up, um, everything. Stars. Planets. Dust. Galaxies. Everything we can see. That turns out to be ... 5% of the universe. + or -. The rest of it - 95% or so - is Dark. Energy and Matter. 68% and 27%. In case you were wondering. 95% of the universe is invisible to us. A mystery. Looking for Dark Matter. It's a metaphor. Because it only interacts gravitationally. So we can't see it. Touch it. Hear it. Taste it. Smell it. 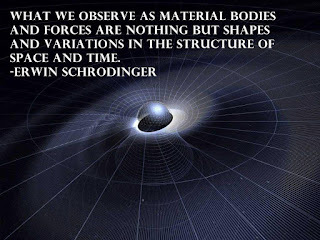 It's all around us, but it doesn't interact with us except via the very very weakest of all the forces, gravity. Dark Matter. Dark Energy. Gotta have 'em in order for us to be here. Don't have a clue what they are. This might be true. Or not. Hard to tell. Dark Matter might have done the same thing. Dark You. And Dark Me. It's 5-6 times bigger than the universe we do see. And to them, we're Dark, too. And they're all around us, and we're all mixed up inside of them. And they can't see us and we can't see them. But we know that there's something there that we can't see. And maybe they do, too. Not Dark Aliens. Darkish. Not a merry-go-round. 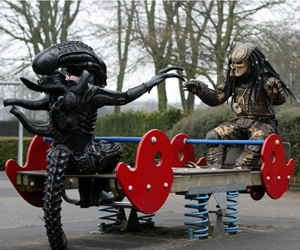 Dark aliens tend to get nauseated on merry-go-rounds.